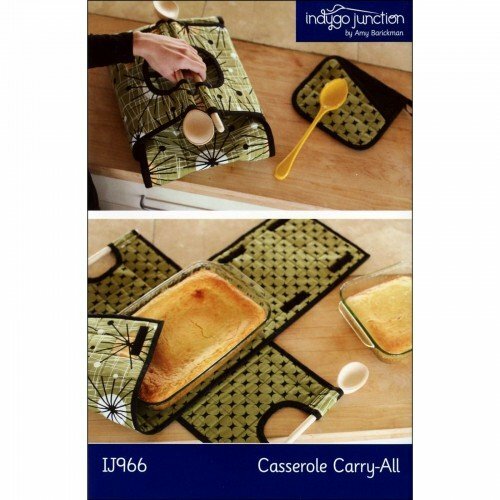 Carry your favorite casserole or dessert in style with this fun insulated carrier with wooden spoon handles. Conveniently created to hold your favorite 9" x 13" casserole dish or an 8" or 9" square dish just be selecting different hook and loop tape configurations. Instructions included for a matching potholder. Perfect for hot or cold dishes. 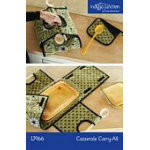 Potholder size: 8" x 8.5".